The AT&T Performing Arts Center and Dallas Theater Center will co-present HAIRSPRAY at the Winspear Opera House. As the first show in the AT&T Performing Arts Center’s Broadway Series 2018/2019 season, the smash hit musical comedy will play twelve performances July 7-15. The musical will be directed by Dallas Theater Center’s Associate Artistic Director Joel Ferrell. The 2007 movie musical adaptation of HAIRSPRAY is the 10th highest grossing movie musical of all time. The 2016 live television special Hairspray Live! Was watched by more than nine million viewers and was nominated for seven primetime EMMY Awards. The original Broadway production of HAIRSPRAY ran for 2,642 performances from August 2002 to January 2009 making it the 22nd longest running show in Broadway history. HAIRSPRAY won eight 2013 TONY Awards including Best Musical and Best Original Score. National tours have been seen by more than two million people across North America. You can’t stop the beat in this big and bold musical about one girl’s inspiring dream to dance. The 1950s are out, and change is in the air! Hairspray, winner of eight Tony Awards, including Best Musical, is a family-friendly musical, piled bouffant-high with laughter, romance and deliriously tuneful songs. The Broadway musical HAIRSPRAY is based on the New Line Cinema film written and directed by John Waters, orchestrations by Harold Wheeler, and arrangements by March Shaiman; Book by Mark O’Donnell and Thomas Meehan and lyrics by Scott Wittman and Marc Shaiman. This production will be directed by Ferrell, choreographed by Rickey Tripp, and with music direction by Vonda K. Bowling. Joining the creative team is sound designer Peter McBoyle, lighting designer Amanda West and wig designer Leah Loukas. 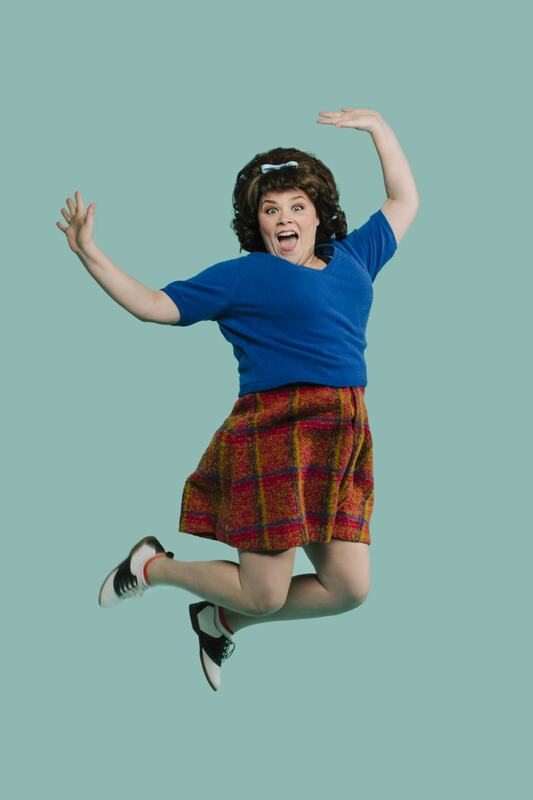 Returning to the role of Tracy Turnblad is Michelle Dowdy, who served as the Tracy Turnblad understudy in the Broadway production from 2002-2009. Joining her are cast members David Coffee as Edna Turnblad; Julie Johnson as Prudy Pingleton/Gym Teacher/Matron; Dallas Theater Center’s Diane and Hal Brierley Resident Acting Company Member Liz Mikel as Motormouth Mabel; Taylor O’Toole as Penny Pinglton; Deanna Ott as Amber Von Tussle; Joel Ingram as Link Larkin; Cara Serber as Velma Von Tussle; Bob Reed as Wilbur Turnblad and Roman Banks as Seaweed J. Stubbs. The Dynamites are played by Gabrielle Reyes, Ayanna Edwards, and Tanisha Moore. Ensemble members include Jacob Burns, Voltaire Wade-Green, Jovan Dansberry, Jill Nicholas, Natalie Goodin, Chad Vaught, Cole Cloutier, Kyle Ward, Rhett Warner, Taylor Nash, Imani English and Cayley Davis. McLaine Meachem will play Little Inez, joined by Shane Allen as Corny Collins and Rob McCollum as Harriman F. Spitzer/Principle/Guard. Tickets for HAIRSPRAY range from $25 to $150 and can be purchased online at www.attpac.org, by phone at 214-880-0202 or in person at the AT&T Performing Arts Center Winspear Opera House Box Office at 2403 Flora Street. The Box Office is open 10 a.m. – 4:30 p.m. Monday through Friday and before performances – closed Saturdays and Sundays. Presented locally by executive producing partners Baylor Scott & White, Baylor University Medical Center and Gay & Lesbian Fund for Dallas. Assistant producing partners are Thompson & Knight Foundation, funded by the partners of Thompson & Knight, LLP, Dallas Theater Center Guild and Munck Wilson Mandala, LLP.